BATAVIA, N.Y. -- It is finally here! Summer and vacation time is upon us and for roughly half of the households in America, visiting new places is the highlight of summertime! However, traveling to a different time zone can lead to the modern day phenomenon known as jet lag and taint the beginning and end of a long-awaited vacation. Most people who travel to new time zones feel tired and may struggle to fall asleep, and few understand what is happening inside their bodies. Sleep professionals including polysomnographic technologists, commonly known as sleep technologists, work with physicians to study jet lag and help remediate the severity of the condition. Most living things, including humans live in an established circadian rhythm. This rhythm refers to the physical, mental and behavioral changes living things experience throughout a 24-hour cycle. While the circadian rhythm is predominantly established by our bodies, it can be impacted by external forces such as sunlight and temperature, climate changes, sound and even diet. The first recorded account of a circadian rhythm occurred around the 4th century BC when a ship captain serving under Alexander the Great described the changes he witnessed in the leaves of a Tamarind tree, indigenous to Africa. It wasn't until the 13th century that the process was noted in humans, and the term 'jet lag' was coined in 1966. Jet lag occurs when the external conditions of our environment (primarily sunlight and temperature) vary from an established circadian rhythm. The human body can take several days or biological cycles to adjust its rhythm to the new time zone. While it is adjusting, a person may feel the need to sleep during the day and stay awake at night - following the familiar time zone. Physicians and sleep techs have made great progress in sleep studies and the National Sleep Foundation list the following recommendations to minimize the effects of jet lag. When planning a trip, consider flight times. By selecting a flight that arrives early in the evening, you may be able to maintain a normal bedtime in the local time zone. If you absolutely must sleep outside of normal sleep times, take a nap early in the afternoon and for no longer than two hours. When you board the plane for your flight, set your watch or other personal items to the destination time zone to start your mind and body thinking in terms of the new time zone. Avoid eating a heavy meal and chocolate when you arrive; a light snack is a better idea. Sleep techs recommend avoiding alcohol or caffeine for at least three to four hours prior to your local bedtime. These stimulants can add to the challenges of falling asleep. Soak up as much sunlight as possible! Sunlight is a powerful factor in the regulation of your biological clock. Make sure to stay hydrated. When you are dehydrated, you can be more irritable, prone to headaches, and can even cause you to over-eat. After a fun-filled vacation day, make sure your sleeping environment is cool, dark and quiet. The darkness combined with the cool air and white noise from an air conditioner may help you fall asleep and stay asleep. Consider earplugs and blindfolds to remedy sleep time disruptions. Don't forget about your normal routines. If you normally go for walks or runs, try to do at least half of your normal routine while on vacation. If you are kept awake by worry or excitement over plans for the next day, schedule two wake-up calls to set your mind at ease. Jet lag is just one of the 84 different classifications of sleep disorders affecting more than 70 million Americans - which explains why there is a projected 18% job growth expected through 2024 in the polysomnographic or sleep disorder industry! At Genesee Community College, Polysomnographic Technology students learn in state-of-the-art sleep tech labs with the latest equipment and one-on-one instruction. With a Polysomnographic Technology A.A.S degree from GCC, graduates work in one of the more than 2,500 accredited sleep centers in the U.S. monitoring patients, helping to conduct clinical research, counsel patients and much more. The two year curriculum at GCC focuses on the Physiology of Sleep Medicine, Sleep Study Instrumentation, Sleep Disorders, and Polysomnography courses - including infant and pediatric modules. GCC's Sleep Tech students also experience two clinical practice semesters where they apply new classroom skills and learning. Enrollment for the Fall 2018 semester is now open and there are still seats available in the Polysomnographic Technology program. 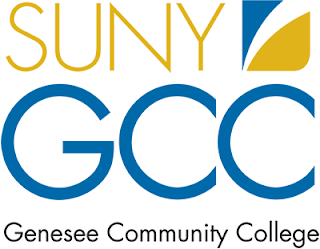 Visit https://www.genesee.edu/academics/programs/Health/Sleep/ for more details. "Combatting jet lag is just one minor aspect of what sleep technologists have contributed to general health and wellness," Marshann Thomas, GCC's Director of Polysomnographic Technology program said. "Quality and regular sleep is vital to every function of the human body and discoveries in this industry are dramatically improving our health. It is an extremely exciting field that offers flexible scheduling and attractive starting salaries." The field of sleep technology reports annual base salaries ranging from $62,000 in the New York City area to $50,000 in the Buffalo area. The list of available positions is substantial. To learn more go to: https://www.genesee.edu/academics/programs/Health/Sleep/ or call 866-CALL-GCC.